Stroke Rehabilitation/Stroke is a neurological deficit of cerebrovascular causes the sudden death of brain cells due to lack of oxygen, caused by blockage of blood flow or rupture of an artery to the brain. Sudden loss of speech, weakness, or paralysis of one side of the body can be symptoms. A suspected stroke may be confirmed by scanning the brain. Stroke is defined by the World Health Organization[rx] as ‘a clinical syndrome consisting of rapidly developing clinical signs of focal (or global in case of coma) disturbance of cerebral function lasting more than 24 hours or leading to death with no apparent cause other than a vascular origin.’ A transient ischaemic attack (TIA) is defined as stroke symptoms and signs that resolve within 24 hours. There are limitations to these definitions. The symptoms of a TIA usually resolve within minutes or a few hours at most and anyone with continuing neurological signs when first assessed should be assumed to have had a stroke. ‘Brain Attack’ is sometimes used to describe any neurovascular event and maybe a clearer and less ambiguous term to use. Stroke a cerebrovascular accident is prevalent across patient populations and can be a significant cause of morbidity and mortality. Stroke can be categorized as ischemic, hemorrhagic, or subarachnoid. Among ischemic strokes, the Trial Org 10172 in Acute Stroke Treatment (TOAST) classification is used to subdivide the categories that include cardioembolism, small-vessel occlusion, large-artery atherosclerosis, a stroke of other undetermined etiology, and stroke of undetermined etiology. (B)Balance: Sudden loss of balance. (F)ACE. Ask the person to smile. Check to see if one side of the face droops. (A)RMS. Ask the person to raise both arms. See if one arm drifts downward. (S)PEECH. Ask the person to repeat a simple sentence. Check to see if words are slurred and if the sentence is repeated correctly. (T)IME. If a person shows any of these symptoms, time is essential. It is important to get to the hospital as quickly as possible. Stroke is the third leading cause of death in women (and the fifth leading cause of death in men). Each year stroke kills twice as many women as breast cancer, according to the National Stroke Association. Here are common signs of a stroke. Read them, study them, and if someday someone around you shows any signs of having a stroke, you’ll know what to do. Is the person’s face drooping on one side? When sudden numbness or weakness of the face occurs, resulting in something like an uneven smile, this is a warning sign of a stroke. Ask the person to raise his or her arms. If the person isn’t able to move an arm (or leg), this is because it suddenly has gone weak and numb. These changes involve either one side of the body or the other. It’s uncommon to have a stroke that affects both arms at the same time. The reason this happens is because the left side of the brain controls the right side of the body, and the right side of the brain controls the left side of the body. Therefore, a stroke in the left side of the brain translates into right-sided weakness and numbness. When having a stroke, you could lose balance and coordination. Showing signs of troubled walking, you would find it hard to stand on your feet due to sudden fatigue and confusion. You feel this way because the blood supply to your brain gets blocked or reduced. This sign is not hard to recognize. Do a simple test: make the person repeat a common phrase, for instance, “A cat with gloves catches no mice.” Is the speech slurred? Does the person say the words wrong? Sudden confused or slurred speech is a sign to take into account. If something like this happens, there is an 80% chance the individual is suffering a stroke. Typically, what happens in a stroke is that you lose one-half (or one-quarter) of your visual field; you don’t go entirely blind. When looking straight ahead, you can’t see past midline in one direction. In other words, you lose some peripheral vision in both eyes. So, if you or someone else experiences trouble seeing, with partial loss of the field of vision, this can be a sign of a stroke. Dizziness can be either a one-time event or a chronic problem; however, dizziness alone isn’t necessarily a sign of a stroke. Occasionally, we all get lightheaded due to stress, overworking, depression, illness, or medication, but we eventually get better. If dizziness occurs, persists, and is associated with trouble walking, loss of coordination, and difficulty in speaking, it should be considered a sign of a stroke. There is evidence that people who experience painful headaches are at higher risk of strokes and heart disease. A sudden severe headache that comes out of nowhere with no clear cause (like stress, anxiety, or work exhaustion) should alert you to the possibility of a stroke. This occurs particularly with the hemorrhagic-type of stroke, when a blood vessel in the brain ruptures and bleeds, causing brain cell death. The pain of this kind of a headache is extreme and may be followed by vomiting in some cases. A headache may also occur with the ischemic-type of stroke. Fatigue is a persistent symptom that affects stroke sufferers. Though everyone feels tired at some point in time, it can typically be explained by not getting enough sleep or having had a hectic day. Fatigue in those who survive a stroke is common and quite different. A sense of exhaustion and weariness that may not improve with rest could represent a sign of a stroke. A decrease or loss of the swallowing reflex is a common sign of a person who is on the brink of a stroke. Many stroke sufferers report issues with swallowing their food, to the point of gagging. In fact, one study found that 65% of stroke patients developed a swallowing disorder called dysphagia. This important sign of a stroke is typically examined upon reaching the hospital. Doctors will carry out a swallow test and, upon failing it, a speech-language pathologist will be required for treatment. A gradual or complete loss of sensation on areas of the skin is quite typical for a person who is having a stroke. During a stroke, the brain is no longer able to receive touch, pressure and temperature signals from those body parts. This reduced sensation can be experienced in one or different parts of the body, depending upon the area of the brain that was affected. Other senses that can be equally affected are hearing, smelling, and tasting. A feeling that you are losing your breath or your heart is fluttering is a potential sign of a stroke. Women are more susceptible to this symptom than men. The condition can become quite uncomfortable as the pressure in the brain increases as the stroke evolves. The symptoms of a stroke can be quite similar to those of a heart attack. Initial Treatment imed at limiting the size of the stroke and preventing further stroke. Acute stroke therapies try to stop a stroke while it is happening by quickly dissolving the blood clot causing an ischaemic stroke or by stopping the bleeding of a hemorrhagic stroke. This will involve administering medications and may involve surgery in some cases. Aspirin – Aspirin is an immediate treatment given in the emergency room to reduce the likelihood of having another stroke. 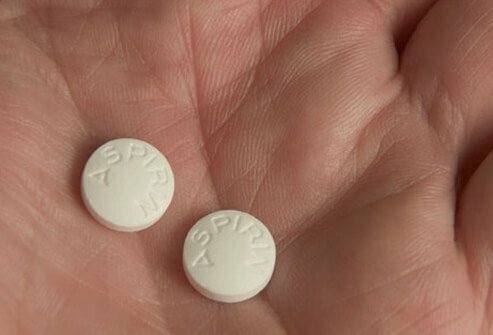 Aspirin prevents blood clots from forming. Vinpocetine – a group of medicine to reached oxygen & nutrition to the hemorrhagic/ischemic area of the brain. Vasodilator – medicine for in ischemic stroke to really reached blood to the obstacle area of the brain. Prednisolone /methylprednisolone – for the eradication of inflammation in the blood clots area of the brain. NSAID – for inflammation & removing pain. Gaba Pentin & Pregabalin – to recover damage nerve & inhabited the pain impulse to the brain. Lipid-lowering agent – to remove the excessive fat & plaque that are accumulated in the blood vessel in the body. Antidepressants – a drug for better sleep & Removed anxiety. Muscle Relaxant – to improved muscle tone & avoid spasticity or bed sore. The anti ulcerant – drug used to avoid constipation & normalizing the boil movement. Medications of diuretic – to reduce swelling in the brain and medications to treat underlying causes for the stroke eg: heart rhythm disorders may also be given. Intravenous injection of tissue plasminogen activator (TPA) – Some people can benefit from an injection of a recombinant tissue plasminogen activator (TPA), also called alteplase. An injection of TPA is usually given through a vein in the arm. This potent clot-busting drug needs to be given within 4.5 hours after stroke symptoms begin if it’s given in the vein. TPA restores blood – flow by dissolving the blood clot causing your stroke, and it may help people who have had strokes recover more fully. Your doctor will consider certain risks, such as potential bleeding in the brain, to determine if TPA is appropriate for you. Medications delivered directly to the brain. Doctors may insert a long, thin tube (catheter) through an artery in your groin and thread it to your brain to deliver TPA directly into the area where the stroke is occurring. The time window for this treatment is somewhat longer than for intravenous TPA but is still limited. Mechanical clot removal. Doctors may use a catheter to maneuver a tiny device into your brain to physically break up or grab and remove the clot. However, recent studies suggest that for most people, delivering medication directly to the brain (intra-arterial thrombolysis) or using a device to break up or remove clots (mechanical thrombectomy) may not be beneficial. Researchers are working to determine who might benefit from this procedure. Carotid endarterectomy. In a carotid endarterectomy, a surgeon removes plaques from arteries that run along each side of your neck to your brain (carotid arteries). In this procedure, your surgeon makes an incision along the front of your neck, opens your carotid artery and removes plaques that block the carotid artery.Your surgeon then repairs the artery with stitches or a patch made from a vein or artificial material (graft). The procedure may reduce your risk of ischemic stroke. However, a carotid endarterectomy also involves risks, especially for people with heart disease or other medical conditions. Angioplasty and stents. In an angioplasty, a surgeon gains access to your carotid arteries most often through an artery in your groin. Here, he or she can gently and safely navigate to the carotid arteries in your neck. A balloon is then used to expand the narrowed artery. Then a stent can be inserted to support the opened artery. Emergency measures. If you take warfarin (Coumadin) or anti-platelet drugs such as clopidogrel (Plavix) to prevent blood clots, you may be given drugs or transfusions of blood products to counteract the blood thinners’ effects. You may also be given drugs to lower pressure in your brain (intracranial pressure), lower your blood pressure, prevent vasospasm or prevent seizures. Surgical clipping – A surgeon places a tiny clamp at the base ofane aneurysm, to stop blood flow to it. This clamp can keepane aneurysm from bursting, or it can prevent re-bleeding of an aneurysm that has recently hemorrhaged. Coiling (endovascular embolization) – In this procedure, a surgeon inserts a catheter into an artery in your groin and guides it to your brain using X-ray imaging. Your surgeon then guides tiny detachable coils into the aneurysm (aneurysm coiling). The coils fill the aneurysm, which blocks blood flow into the aneurysm and causes the blood to clot. Surgical AVM removal – Surgeons may remove a smaller AVM if it’s located in an accessible area of your brain, to eliminate the risk of rupture and lower the risk of hemorrhagic stroke. However, it’s not always possible to remove an AVM if its removal would cause too large a reduction in brain function, or if it’s large or located deep within your brain. 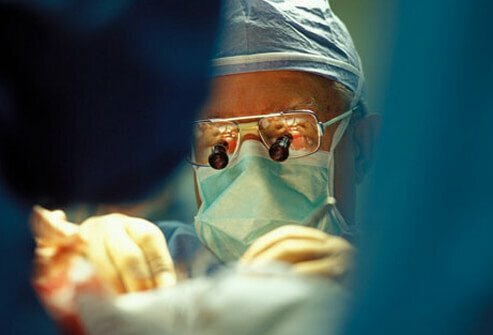 Intracranial bypass – In some unique circumstances, surgical bypass of intracranial blood vessels may be an option to treat poor blood flow to a region of the brain or complex vascular lesions, such as aneurysm repair. Stereotactic radiosurgery – Using multiple beams of highly focused radiation, stereotactic radiosurgery is an advanced minimally invasive treatment used to repair vascular malformations. Ischaemic strokes can often be treated using injections of a medication called alteplase, which dissolves blood clots and restores blood flow to the brain. This use of “clot-busting” medication is known as thrombolysis. Alteplase is most effective if started as soon as possible after the stroke occurs. It isn’t generally recommended if more than 4.5 hours have passed, as it’s not clear how beneficial it is when used after this time. Before alteplase can be used, it’s very important that a brain scan is carried out to confirm a diagnosis of an ischaemic stroke. This is because the medication can make the bleeding that occurs in haemorrhagic strokes worse. A small proportion of severe ischaemic strokes can be treated by an emergency procedure known as thrombectomy. This removes blood clots and helps restore blood flow to the brain. Thrombectomy is only effective at treating ischaemic strokes caused by a blood clot in a large artery in the brain. It’s most effective when started as soon as possible after a stroke. Most people will be offered a regular dose of aspirin. As well as being a painkiller, aspirin is antiplatelet, which reduces the chances of another clot forming. In addition to aspirin, other antiplatelet medicines such as clopidogrel and dipyridamole are also available. Some people may be offered an anticoagulant to help reduce their risk of developing further blood clots in the future. Anticoagulants prevent blood clots by changing the chemical composition of the blood in a way that prevents clots occurring. There are also a number of anticoagulants called heparins that can only be given by injection and are used short term. Brain cells do not generally regenerate (regrow). Following a stroke, surviving brain cells can take over the function of areas that are dead or damaged, but only to a certain degree. The adaptive ability of the brain requires the relearning of various skills. As each person who suffers a stroke is affected differently, individual rehabilitation plans are developed in conjunction with the patient, family and healthcare team. These aim to teach skills and maximise function so that the person can achieve maximum independence. Treatment of hemiplegia requires coordination of several health professionals. A physiotherapist, occupational therapists, a physician, a surgeon and support from family etc. Treatment is focused to find the causative factor and check its further progression. Secondly, after a few days, rehabilitation therapy helps to minimize disability. Several medicines are prescribed to control the primary cause such as antihypertensive, anti-thrombolytic agents to dissolve the clot, drugs to control cerebral edema etc. Intensive physical therapy is begun after a few days. Activities such as walking, standing are done repeatedly under the guidance of a physiotherapist. It helps to improve the muscular functions which have become rigid. It is aimed to make the patient self-sufficient to perform his daily activities. The patient is taught to move his affected arm with his strong arm. With exercise, it is possible to maintain flexibility of joints and it also prevents tightening and shortening of muscles. Speech therapy is simultaneously begun to improve communication and speaking skills. Occupational therapy – to improve daily functions such as eating, cooking, toileting and washing. Recovery can take months and it may be several days or weeks after the stroke before doctors are able to give an accurate prediction for recovery. Occupational therapy Occupational Therapists may specifically help with hemiplegia with tasks such as improving hand function, strengthening hand, shoulder and torso, and participating in activities of daily living (ADLs), such as eating and dressing. Therapists may also recommend a hand splint for active use or for stretching at night. Some therapists actually make the splint; others may measure your child’s hand and order a splint. OTs educate patients and family on compensatory techniques to continue participating in daily living, fostering independence for the individual – which may include, environmental modification, use of adaptive equipment, sensory integration, etc. Berta & Karel Bobath’s approach focuses to control responses from the damaged postural reflex mechanism. Emphasis is placed on affected inputs facilitation and normal movement patterns (Bobath, 1990). Brunnstrom approach is one form of neurological exercise therapy in the rehabilitation of stroke patients. The relative effectiveness of Neuro-developmental treatment (N.D.T.) versus the Brunnstrom method was studied by Wagenaar and colleagues (1990) from the perspective of the functional recovery of stroke patients. The result of this study showed no clear differences in the effectiveness of the two methods within the framework of functional recovery. Emphasize the use of activities in developmental sequences, sensation stimulation, and muscle work classification. Cutaneous stimuli such as icing, tapping, and brushing are employed to facilitate activities. Developed by Knott and Voss, they advocated the use of peripheral inputs as stretch and resisted movement to reinforce existing motor response. Total patterns of movement are used in the treatment and are followed in a developmental sequence. In Stroke Physical Therapy, Conductive education is one of the methods in treating neurological conditions including hemiplegic patients. Cotton and Kinsman (1984) demonstrated a neuropsychological approach using the concept of CE for adult hemiplegia. The patient is taught how to guide his movements towards each task-part of the task by using his own speech – rhythmical intention. There is no evidence adequately supporting the superiority of one type of exercise approaches over another. However, the aim of the therapeutic approach is to increase physical independence and to facilitate the motor control of skill acquisition and there is strong evidence to support the effect of rehabilitation in terms of improved functional independence and reduced mortality. FES is a modality that applied a short burst of electrical current to the hemiplegic muscle or nerve. In Stroke Physical Therapy, FES has been demonstrated to be beneficial to restore motor control, spasticity, and reduction of hemiplegic shoulder pain and subluxation. It is concluded that FES can enhance the upper extremity motor recovery of acute stroke patient (Chae et al., 1998; Faghri et al., 1994; Francisco, 1998). Alfieri (1982) and Levin et al (1992) suggested that FES could reduce spasticity in a stroke patient. A recent meta-analysis of the randomized controlled trial study showed that FES improves motor strength (Glanz 1996). A study by Faghri et al (1994) has identified that FES can significantly improve arm function, electromyographic activity of posterior deltoid, the range of motion and reduction of severity of subluxation and pain of hemiplegic shoulder. Biofeedback is a modality that facilitates the cognizant of electromyographic activity in selected muscle or awareness of joint position sense via visual or auditory cues. In Stroke Physical Therapy the result of studies in biofeedback is controversial. A meta-analysis of 8 randomized controlled trials of biofeedback therapy demonstrated that electromyographic biofeedback could improve motor function in stroke patient (Schleenbaker, 1993). Another meta-analysis study on EMG has shown that EMG biofeedback is superior to conventional therapy alone for improving ankle dorsiflexion muscle strength (Moreland et al., 1998. Erbil and co-workers (1996) showed that biofeedback could improve earlier postural control to improve impaired sitting balance. A conflicting meta-analysis study by Glanz et al (1995) showing that biofeedback was not efficacious in improving range of motion in ankle and shoulder in a stroke patient. Moreland (1994) conducted another meta-analysis concluded that EMG biofeedback alone or with conventional therapy did not superior to conventional physical therapy in improving upper- extremity function in an adult stroke patient. Active weight-bearing exercise can be used as a means of improving motor control of the affected arm; introducing and grading tactile, proprioceptive, and kinesthetic stimulation; and preventing edema and pain. In Stroke Physical Therapy, Upper extremity weight bearing can be used to lengthen or inhibit tight or spastic muscles while simultaneously facilitating muscles that are not active (Donatelli, 1991). According to Robert (1992), the amount of shoulder pain in hemiplegia was related most to loss of motion. He advocated that the provision of ROM exercise (caution to avoid improvement) as treatment as early as possible. In Stroke Physical Therapy, proper positioning and handling of the hemiplegic shoulder, whenever in bed, sitting and standing or during lifting, can prevent shoulder injury is recommended in the AHCPR & SIGN guidelines for stroke rehabilitation. In Stroke Physical Therapy, positioning can be therapeutic for tone control and neuro-facilitation of stroke patients (Davies, 1991). Braus et al 94 found shoulder-hand syndrome reduced from 27% to 8% by the instruction to everyone including family on handling technique. Passive mobilization as described by Maitland can be useful in gaining relief of pain and range of movement (Davies, 1991). In Stroke Physical Therapy other treatment modalities such as thermal, electrical, cryotherapy etc. can be applied for shoulder pains of musculoskeletal in nature. In Stroke Physical Therapy the use of the sling is controversial. No shoulder support will correct a glenohumeral joint subluxation. However, it may prevent the flaccid arm from hanging against the body during functional activities, thus decreasing shoulder joint pain. They also help to relieve downward traction on the shoulder capsule caused by the weight of the arm (Hurd, Farrell, and Waylonis, 1974 ; Donatelli ,1991). In Stroke Physical Therapy, evidence shows that both a cough and forced expiratory technique (FET) can eliminate induced radio aerosol particles in the lung field. Directed coughing and FET can be used as a technique for bronchial hygiene clearance in a stroke patient. In Stroke, Physical Therapy consistent “reflex-inhibitory” patterns of posture in resting is encouraged to discourage physical complication of stroke and to improve recovery (Bobath, 1990). Meanwhile, therapeutic positioning is a widely advocated strategy to discourage the development of abnormal tone, contractures, pain, and respiratory complications. It is an important element in maximizing the patient’s functional gains and quality of life. A goal of Stroke Physical Therapy interventions has been to “normalize tone to normalize movement.” Therapy modalities for reducing tone include stretching, prolonged stretching, passive manipulation by therapists, weight bearing, ice, contraction of muscles antagonistic to spastic muscles, splinting, and casting. Research on tone-reducing techniques has been hampered by the inadequacies of methods to measure spasticity (Knutsson and Martensson, 1980) and the uncertainty about the relationship between spasticity and volitional motor control (Knutsson and Martensson, 1980; Sahrmann and Norton, 1977). The manual stretch of finger muscles, pressure splints, and dantrolene sodium do not produce apparent long-term improvement in motor control (Carey, 1990; Katrak, Cole, Poulus, and McCauley, 1992; Poole, Whitney, Hangeland, and Baker, 1990). Dorsal resting hand splints reduced spasticity more than volar splints, but the effect on motor control is uncertain (Charait, 1968) while TENS stimulation showed improvement for chronic spasticity of lower extremities (Hui-Chan and Levin, 1992). Recovery of independent mobility is an important goal for the immobile patient, and much therapy is devoted to gait-reeducation. Bobath assumes abnormal postural reflex activity is caused of dysfunction so gait training involved tone normalization and preparatory activity for gait activity. In contrast Carr and Shepherd advocate task-related training with methods to increase strength, coordination and flexible MS system to develop skill in walking while Treadmill training combined with use of suspension tube. Some patient’s body weight can effective in regaining walking ability when used as an adjunct to convention therapy 3 months after active training (Visintin et al., 1998; Wall and Tunbal 1987; Richards et al., 1993). To handle through the functional limitations of stroke patients, functional tasks are taught to them based on movement analysis principles. In Stroke Physical Therapy these tasks include bridging, rolling to sit to stand and vice versa, transfer skills, walking and staring etc (Mak et al., 2000). Meanwhile, early mobilization helps prevent compilations e.g. DVT, skin breakdown contracture and pneumonia. Evidence have shown better orthostatic tolerance (Asberg, 1989) and earlier ambulation (Hayes and Carroll, 1986). By 3 months poststroke, approximately 37% of the individuals continue to have decreased upper extremities (UE) function. Recovery of UE function lags behind that of the lower extremities because of the more complex motor skill required of the UE in daily life tasks. That means many individuals who have a stroke are at risk for lowered quality of life. Many approaches to the physical rehabilitation of adults post-stroke exist that attempt to maximize motor skill recovery. However, the literature does not support the efficacy of any single approach. The followings are the current approaches to motor rehabilitation of the UE. They are the most common methods of intervention for the deficits in UE motor skills including Bobath, proprioceptive neuromuscular facilitation, Brunnstrom’s movement therapy, and Rood’s sensorimotor approach. There is some evidence that practice based on the facilitation models can result in improved motor control of UE ( Dickstein et al,1986, Grade A; Wagenaar et al, 1990 ). However, intervention based on the facilitation models has not been effective in restoring the fine hand coordination required for the performance of actions ( Kraft, Fitts & Hammond, 1992; Butefisch et al, 1995 ). In Stroke Physical Therapy, Functional electric stimulation (FES) can be effective in increasing the electric activity of muscles or increased active range of motion in individuals with stroke ( Dimitrijevic et al., 1996; Fields, 1987; Faghri et al., 1994,Kraft, Fitts and Hammond, 1992 ). Some evidence shown that FES may be more effective than facilitation approaches ( Bowman, Baker and Waters, 1979; Hummelsheim, Maier-Loth and Eickhof, 1997 ). In Stroke Physical Therapy, biofeedback can contribute to improvements in motor control at the neuromuscular and movement levels ( Kraft, Fitts and Hammond, 1992; Moreland and Thomson, 1994; Wissel et al., 1989; Wolf and Binder-MacLoed, 1983; Wolf, LeCraw and Barton,1989; Wolf et al., 1994 ). Some studies have shown improvement in the ability to perform actions during post-testing after biofeedback training ( Wissel et al.,1989; Wolf and Binder-MacLoed, 1983; Moreland and Thomson, 1994). However, the ability to generalize these skills and incorporate them into daily life is not measured. Small changes in an individual’s local ‘environment’ can greatly increase independence, use of a wheelchair or walking stick. However, little research has been done for these ‘treatments’. It is acknowledged that walking aids and mobility appliances may benefit selected patients. The World Health Organisation (WHO) has listed acupuncture as a possible treatment for paresis after stroke. Studies had sown its beneficial effects in stroke rehabilitation. Hua et al. (1993) had reported a significant difference in changes of the neurological score between the acupuncture group and the control group after 4 weeks of treatment in an RCT and no adverse effects were observed in patients treated with acupuncture. Use of intermittent pneumatic pump, elastic stocking or bandages and massage can facilitate the venous return of the oedematous limbs. Therefore, the elasticity and flexibility of the musculoskeletal system can be maintained and enhance recovery process and prevent complications like pressure ulcer. Acupuncture is an alternative therapy which people have been making use of over centuries. Although it is rarely utilized by stroke patients in the US, it is an accepted practice on stroke sufferers in some countries, including China. This therapy is considered to be able to boost the blood flow to the parts which do not have feature. This is the reason why it is often utilized in cases of paralysis, where the blood flow increases, helping to bring the muscles with function. Acupuncture is widely used in cases of language issues and balance troubles. Although some researchers have actually stated that acupuncture is very useful and effective, often these studies are skewed or small. Some people have problems coping with their new disabilities after a stroke. It is common for people to have emotional reactions after a stroke. 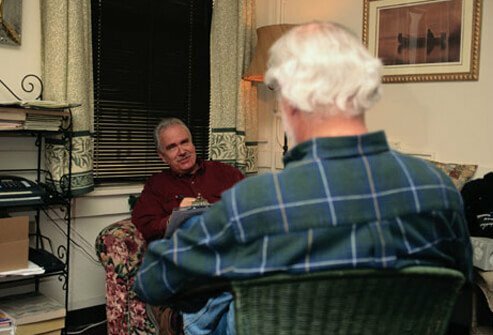 A psychologist or other mental health professional can help people adjust to their new challenges and situations. These professionals use talk therapy and other methods to help people with reactions such as depression, fear, worries, grief, and anger. The methods previously discussed that may prevent or decrease a person’s stroke risk are essentially the same for people who have had a stroke (or TIA) and want to prevent or decrease their chances of having another stroke. In summary, quit smoking, exercise, and if obese, lose weight. Limit alcohol, salt, and fat intake and get into the habit of eating more vegetables, fruits, whole grains, and more fish and less meat. There are some surgical options for stroke prevention. Some patients have plaque-narrowed carotid arteries. The plaque can participate in clot formation in the artery and can even shed clots to other areas in the brain’s blood vessels. Carotid endarterectomy is a surgical procedure where the surgeon removes plaque from the inside of the arteries to reduce the chance of strokes in the future. Mobilize patients within 24 hours, provided that they are alert and hemodynamically stable. Rehabilitation includes lower limb strength training to increase walking distance after stroke. Gait and/or standing post-stroke are improved with gait retraining (including task-specific), balance training, electromyography (EMG)-biofeedback training, and functional electrical stimulation. Consider referral of patients with upper limb weakness or decreased coordination for physical and occupational therapy. Mental practice is associated with improved motor performance and activities of daily living performance. Compensatory strategies (e.g., reminders, day planners) improve memory outcomes. Consider referral of patients with cognitive deficits either for neuropsychological assessment or to an OT trained in the cognitive evaluation. Also, consider referral to driving simulation training or assessment programs. Neglect: Visual scanning techniques and limb activation therapies improve neglect. Consider referral of patients with hemisensory neglect for perceptual retraining by an OT and/or neuropsychologist. Consider referral of patients with impaired speech for assessment and training. Intensive speech and language therapy in the acute phase, especially with severely aphasic patients, showed significant improvement in language outcomes. Consider ophthalmologist referral regarding optical prisms for patients with homonymous hemianopsia as this improves visual perception scores. Referral to community-based support services is associated with increased social activity. Education and information also have a positive benefit. Maintain Adequate Delivery of oxygen is very important to maintain oxygen levels. In some cases, airway ventilation may be required. Supplemental oxygen may also be necessary for patients when tests suggest low blood levels of oxygen. Manage Fever – Fever should be monitored and aggressively treated with medication since its presence predicts a poorer outlook. Evaluate Swallowing – Patients should have their swallowing function evaluated before they are given any food, fluid, or medication by mouth. If patients cannot adequately swallow they are at risk of choking. Patients who cannot swallow on their own may require nutrition and fluids delivered intravenously or through a tube placed in the nose. Maintain Electrolytes – Maintaining a healthy electrolyte balance (the ratio of sodium, calcium, and potassium in the body”s fluids) is critical. Control Blood Pressure – Managing blood pressure is essential and complicated. Blood pressure often declines spontaneously in the first 24 hours after stroke. Patients whose blood pressure remains elevated should be treated with antihypertensive medications. Monitor Increased Brain Pressure – Hospital staff should watch carefully for evidence of increased pressure on the brain (cerebral edema), which is a frequent complication of hemorrhagic strokes. It can also occur a few days after ischemic strokes. Early symptoms of increased brain pressure are drowsiness, confusion, lethargy, weakness, and headache. Medications such as mannitol may be given during a stroke to reduce pressure or the risk for it. Keeping the top of the body higher than the lower part, such as by elevating the head of the bed, can reduce pressure in the brain and is standard practice for patients with ischemic stroke. However, this practice also lowers blood pressure in general, which may be dangerous for patients with massive stroke. Monitor the Heart – Patients must be monitored using electrocardiographic tracings to check for atrial fibrillation and other heart rhythm problems. Patients are at high risk for heart attack following stroke. Control Blood Sugar (Glucose) Levels – Elevated blood sugar (glucose) levels can occur with severe stroke and may be a marker of serious trouble. Patients with high blood glucose levels may require insulin therapy. Monitor Blood Coagulation – Regular tests for blood coagulation are important to make sure that the blood is not so thick that it will clot nor so thin that it causes bleeding. Prevent Infection – Patients who have had a stroke are at increased risk for pneumonia, urinary tract infections, and other widespread infections. Old Age: the possibility of stroke increases with age, particularly in people over 60 years old. Have a family history of stroke. This is the very first one out on the list of the most effective tips on how to treat stroke naturally at home within a short time period that we would like to introduce in the article and everyone should make use as soon as possible. Ginkgo biloba is used to treat stroke. It aids to prevent the blood clots from growing and increases the blood stream to the brain. The herb has been proven to inhibit the free-radical formation. Turmeric is one of the home remedies on how to treat stroke that you and my other readers should know and make use of it for good. Many studies say that the compound curcumin containing in turmeric can reduce the formation of blood clots. Turmeric is a key ingredient in cooking and may be found in most of the curry spice blends. You should consider eating more curry dishes to reduce and even treat your stroke. Ginger is a cardiac tonic because it can treat stroke, decrease the cholesterol levels, aid poor circulation and prevent blood clots excessively. Take 2 tsp of ginger daily for about 7 days can neutralize the blood clotting effects of 100 mg of butter. You can take advantage ginger in your cooking or you can take ginger tea by using 1-2 tsp of fresh grated ginger root per cup of hot water. Steep it until cool. Besides, you can also add ginger in salads. Continue reading this entire article to discover other home remedies for stroke that you can follow easily at home. In brief, this is also one of the most useful tips on how to treat stroke naturally and fast at home that people should not look down yet try making use right from today to be free from this stubborn and serious health issue! In a study, consumption of carrots can reduce risks of stroke. Women who eat 5 servings of carrots per week suffer 68% fewer stroke risk than those who eat carrots less than 2 times a month. Carrots are high in beta-carotene and other essential carotenoids. So, eat more carrots to see how to treat stroke naturally. They are great as snacks, especially the baby carrots. Add them to vegetable soups or make carrot juice. In case you want to do better, add some pieces of garlic and ginger in order to provide them with zest. Some experts think that pigweed can prevent stroke as it can reduce the risk of heart attack while there are biological similarities between heart attack and ischemic strokes. Pigweed is a great plant source of calcium. Use young leaves in salads or steam more mature leaves. It is helpful to stroke problems in a lot of ways. It is a natural purifier and detoxifier, so its functions are to cleanse the blood of any toxins that can contribute to the stroke problem. This vinegar also helps thin the blood, making it easier to flow throughout the body. It is a natural antioxidant. This vitamin can eliminate free radicals that contribute to the condition. Beside, the vitamin also aids the immune function and replenishment of tissues. As you know that stroke can be risky, but it is a condition that is able to be treated. With the proper nutritional supplements as well as treatment considerations, people can experience a nearly full recovery from this condition. Coconut oil is high in medium fatty acids. These fats function to boost nutrient absorption, which contributes to improve recovery. The unique composition of this oil also boosts the neutral passageways to boost brain functioning as well as recovery. This is also a great natural ingredient and the use of it is also among the best tips on how to treat stroke naturally at home without requiring any type of drugs, pills, or medical interventions so that people should try making use of it as soon as possible to achieve the best result as desired! Vitamin B6 is a water-soluble vitamin that can be a useful plus to stroke victims fighting against related illnesses. Vitamin B6 is best taken sublingually as oral administration is less efficient in allowing it to enter the bloodstream quickly. It is inexpensive and available at most health food stores and pharmacies. More importantly, it has no toxicity; in other words, it is difficult to overdose on B6, so you can use it without any worry. B12 is also a water-soluble vitamin that allows the function of physical, emotional and mental abilities. It involves in the metabolic function of each body cell, which makes it essential to those who have the body’s systems weakened by a stroke. Besides, B12 also plays an important role in aiding the body to absorb fatty acids. This is important as omega-3 fats are responsible for maintaining the health of the brain as well as nerve tissue. Fish oil is also a great and nutritious natural ingredient that can help when it comes to tips and home remedies on how to treat stroke naturally at home! Omega-3 fatty acids have been proven to offer positive benefits, including treating stroke. Fish oil, especially from fatty fish like salmon, are very high in healthy fatty acids and has an ideal ratio of DHA, EPA and ALA. An alternative for vegetarian people is hempseed oil, although it is more expensive. A component of many drinks, taurine is a natural organic acid. It has been used to regulate hypoglycemia, hypertension, and diabetes which may be risk factors among patients who are finding ways how to treat stroke. It helps stroke treatment by increasing oxygen uptake to the brain, and by stabilizing the cellular membranes’ health. Besides, it also prevents free-radical damage to the body. Some practitioners in traditional Chinese medicine take the aerial parts in order to treat stroke. This herb works on the liver, heart and kidney meridians, and relieves blood stagnation. A study found that the extract could reduce the area affected by a stroke, improve neurological damage caused by a stroke and have a protective effect on cells of the brain. This study also supports the traditional use of this herb for boosting recovery after a stroke. Never combine this remedy with other blood thinning or stroke medicines. It is one of the fundamental herbs in Chinese medicine and it is used to treat stroke. The root has 4 potent flavonoids: norwogono side, baicalin, oroxyloside as well as wogonoside. Skullcap extract may help stroke recovery by treating paralysis and cerebral thrombosis resulting from stroke. This study also shows that the skullcap extract in treating stroke-related brain damage and helping stroke recovery. Consult your doctor before taking this herb or combining it with other blood thinners. Ginseng is an herb used to encourage your body’s defenses against stress and disease. A study tested ginseng extract containing ginsenoside Rb1 with induced stroke. This study also found that the extract boosted the recovery of neural behavior and simultaneously stimulated the formation of new brain neurons. Consult your doctor before taking it in case you suffer from heart or blood pressure problems. A patient suffering from a stroke needs to add raw fresh juices to the daily diet as this will help to relieve the severity of the stroke. Besides, taking raw fresh juices will also help to relieve the side effects and then allow this person to get back to normality effectively and slowly. Taking a bath in Epsom salt several times a week has been shown to be a good home remedy how to treat stroke. This aids to relax the muscles and rejuvenate them as well. This method is suggested to help lessen a person who has suffered from a stroke to get back to normality a lot faster. Stress contributes to the cardiovascular problem and if severe, it can lead to a heart attack or stroke. There are a lot of options that help you reduce stress levels such as adequate sleep, regular exercise, laughing or volunteering. Watching television does not relieve, but may aggravate tress. Besides, try to avoid situations that make you angry or anxious. Many natural remedies are based on the standard Chinese medication to cure the impairments causing by ischemic stroke. Most of the natural supplements are designed to help to increase the blood flow to the brain regions that were damaged during the cerebral mishap. Some supplements are known for their neuroprotective effects. That means they can protect the brain cells from the further harms. Massage is a special kind of touch therapy which has been shown and well-known to lesser blood pressure, assistance improve depression, and advertise leisure. Some researchers have actually revealed that it is very useful for stroke survivors since it can help to decrease the quantity of depression and anxiety they feel over the restrictions. Massage can also enhance the blood flow to the muscles that are either spastic or paralyzed. This is actually an interesting tip on how to treat stroke and prevent this disease naturally without meeting any difficulty (excepting the case that you are a soy hater!). Soy milk is an ideal drink for people with high blood pressure as it has effects on preventing atherosclerosis, adjusting blood lipid disorders and lowering the blood pressure. Every day, for good, people should consume about 500ml soy milk mixed with 50g white sugar for times throughout the day. Grapes, including fresh grapes and raisins, are good for people with high blood pressure, because the composition of grape contains high level of potassium salt which has the antihypertensive, diuretic effects, and it can enrich the amount of potassium lost by the use of Western medicine. Apple is always good for health. Some people even believe that if they eat apple every day, they will not have risks of any disease. Apple contains a high level of potassium, combine with and push the extra sodium out of the body. This will help the body manage and maintain the normal level of blood pressure. For good, you should eat 3 apples or drink the apple juice three times (about 50ml/time) per day. This is actually one of the best tips on how to treat stroke naturally people should not miss! Grapefruit contains a high level of naringenin – an antioxidant that can help the liver to burn excess fat effectively. Grapefruit also helps to improve the control of blood sugar, lower blood sugar level, and it is very good for people with cardiovascular disease or obesity. Garlic has the effects on lowering hyperlipidemia and hypertensive. Every day, if you eat 2 cloves of raw garlic, pickled garlic, or drink 5ml of vinegar with pickled garlic, it can help to maintain stable blood pressure levels. In addition, the diet with garlic can help to reduce the risk of colon cancer, prevent esophageal cancer, and inhibit breast cancer. Eating one or two cloves of garlic every day will help to reduce 13-25% of the triglycerides level, lower the risk of blood pressure, cholesterol, and blood clotting. This is one of the best tips on how to treat stroke at home that I would like to show my readers in this article. In fact, the tomato is very rich in vitamin C and P, and if people eat raw tomato regularly every 1-2 days, they will be able to prevent high blood pressure effectively, especially when there is bleeding complications of the eye. In addition, Vitamin A, C and lycopene contained in tomatoes can help to prevent prostate, lung, and stomach cancer. Tomatoes also have the effects on lowering blood pressure, preventing atherosclerosis – one of the dangerous factors which lead to coronary artery disease in the heart and stroke. Water spinach is very good for health. It contains a high level of calcium so that it is very useful for maintaining the osmotic pressure of the circuits and blood pressure at normal levels. Water spinach is a special veggie which is perfect for people with high blood pressure with the sign of a headache – a main cause of stroke. This is the last tip on how to treat stroke naturally which people should try! Opium – excellent medicine for apoplexy; comma and obstructed respiration; patient lies down; loss of consciousness with eyes half open after the brain hemorrhage. Pituitrinum – well-known medicine for cerebral stroke; checks the cerebral hemorrhage; helps in the absorption of blood clots; apoplexy due to hypertension. Asterias rub – threatened cerebrovascular bleeding; a sudden rush of blood to the head. What are the five warning signs of a stroke?